Feeling good and looking good are two dimensions of health that often go hand-in-hand. And no other aspect of health represents this idea better than hair health. 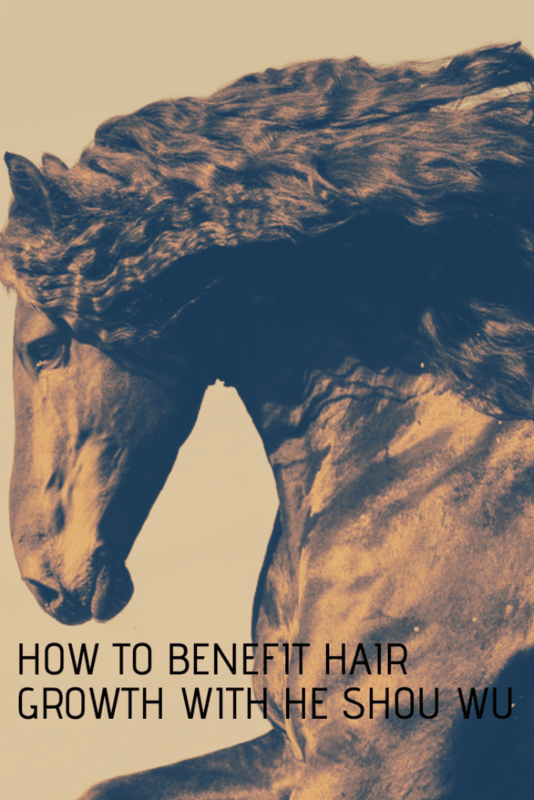 Lots of time and money are poured into hair health by both industries and consumers. Millions of dollars go into developing perfect products for hair, while people around the globe dedicate hours to hair appearance, hair health, and looking good every day. When thinning hair, hair loss, or balding occurs, it can be a bigger blow to well-being than we realize. Hair is a cornerstone to appearance for many of us. When hair health suffers, it affects confidence, which may also affect health. What’s more, dwindling hair health can signal yet more serious health problems. Though many products have been developed, ancient herbal traditions have found amazing potential in certain botanicals—and so have scientific studies. And none are more promising or exciting than He Shou Wu. 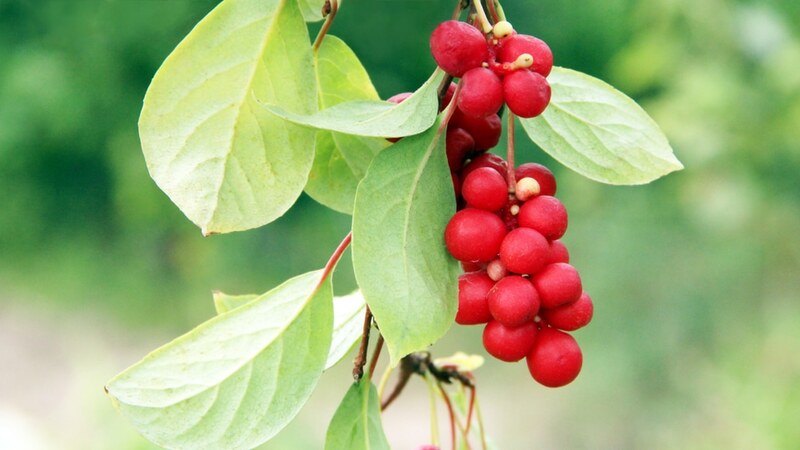 He shou wu, also known as fo-ti or scientifically as Polygonum multiflorum, is an herb from Asia. More specifically, it grows in the regions of southern and central China. We may not be too familiar with the plant or herb out here in the western world. It does have two close relatives we may be more familiar with, such as buckwheat, as well as Japanese knotweed (Polygonum cuspidatum), which also has traditional healing uses. There in its native homeland, the vine-like plant—which looks quite inconspicuous in spite of its legendary background—earned many uses and important purposes in cultures and healing traditions there. Long ago in China, ancient herbalists discovered that preparation of the root had a wide variety of health effects. But in order for them to have any effect, they needed to be prepared correctly first—particularly with black beans after being pickled, sliced, cooked into a soup, boiled, then dried again. After much experimentation, an herbal hair tonic was born. This traditional preparation of he shou wu root became famous for many things. But no stories were more famous than those about hair growth. One legend has it that a man in his older years, down on his luck, discovered the herbal root while alone in the woods. Intrigued by the plant, he prepared it, consumed it, and in a few weeks found his youthful vigor, energy, and—most notably—his thick head of hair returning as if he were young all over again. Another story, wreathed in legend, holds that another man who took the herb was able to live in excellent health to the age of 252 years. Though this is unproven, believers, records, and storytellers remarked on his youthful appearance despite his old age, including his full and healthy hair. Today, these stories about he shou wu are a mystery—but they do foreshadow quite a bit about what the herb does for hair health in reality. Based on these legends and many other stories, he shou wu became a staple healing herb in some Asian healing traditions. In modern times, it’s become a popular supplement and tonic, but not just in Asian countries. It’s also spread to the western world for its abilities to improve hair health and growth and now used all over the globe. But due to many other traditional uses and other scientific discoveries, he shou wu is an herb famous for far more than just hair health. He shou wu could be considered a contemporary of many other healing herbs shrouded in legend. This includes others like ginseng, cistanche, and even chaga mushroom. And while the benefits they have for health may seem like they reach epic proportions, all of them have one very simple thing in common—and it’s responsible for the bulk of their powers. In short, he shou wu is rich in antioxidants. That’s right: the amazing phytochemicals that can be encountered in fruits, vegetables, and superfoods of all kinds can be found in this Asian herb as well. Antioxidants, in a nutshell, scavenge free radicals that promote disease, degeneration, aging, and weakness in the body. Naturally, they help protect tissues, organs and pretty much everything else from degrading or breaking down too quickly. 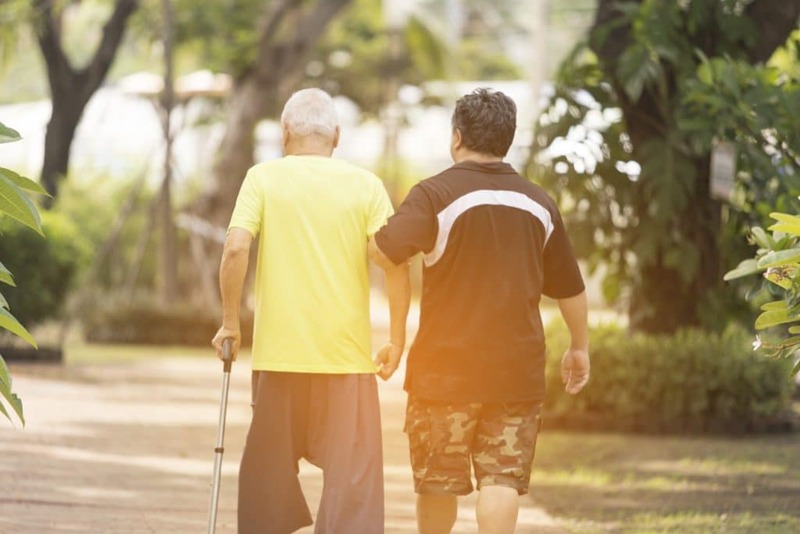 In fact, consuming plenty of antioxidants—especially those from he shou wu—can protect the body from degeneration and aging in a myriad of ways. This includes cells and tissues that involve hair growth, as well as hair itself. HOW DOES HE SHOU WU SPECIFICALLY BENEFIT HAIR HEALTH? Look online, and there can be found lots of theories for how he shou wu directly benefits hair health and growth. Another scientific theory ties back into its antioxidant potential, claiming that the reduction of free radicals means that hair follicles are free to regenerate more efficiently, thus leading to thicker and faster-growing hair. In a way, each of these theories is true. Though most remarkably, studies show strongest of all that he shou wu appears to transition hair follicles from damaged, dormant stages into rejuvenated, fast-growing ones that better resemble hair growth patterns in the young. 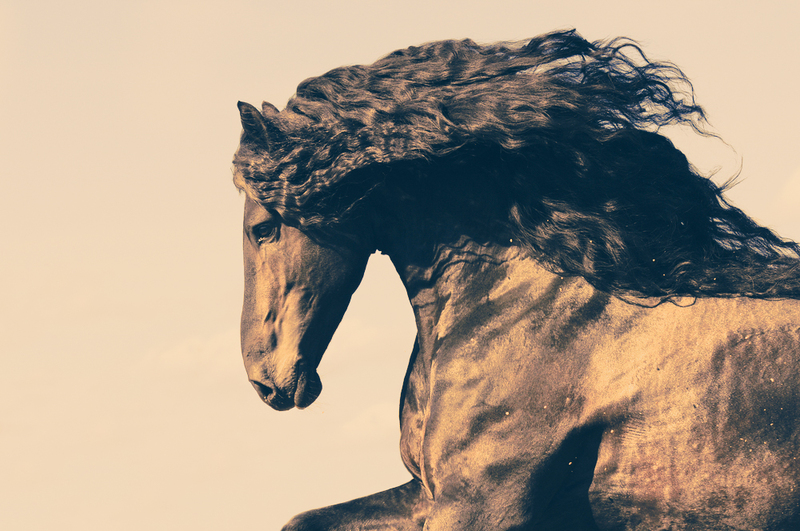 In essence, this Chinese herb of old brings good news to those wanting that full, lustrous mane again. What’s more, he shou wu accomplishes this in many ways—and these are all currently supported by and being further explored by scientific research. More than any other aspect of hair health, there have been plenty of studies exploring he shou wu’s ability to actually increase and stimulate hair growth. In a 2011 study for example, subjects were given a topical application of the herb. Hair growth was found to be thicker and faster, while hair follicles increased in both size and amount following the application. The study also established that this increase in hair growth could be attributed to a transformation in the “growing phase” of the hair follicle itself, which was encouraged by the herb’s application. More specifically, he shou wu switched the follicle growing phase from the telogen phase to anagen phase. This means that, instead of follicles being in the phase of shedding hair and going dormant (and thus hairless), they were instead prematurely renewed and stimulated to grow a whole new hair shaft. In yet another study in 2013 , compounds extracted from he shou wu were tested for hair growth. Some of them showed greater potential and success at encouraging hair growth than the control subject and even compared to subjects treated with an over-the-counter hair growth stimulator, minoxidil. A 2015 study took things further, testing both topical and internal use of he shou wu to see if they were effective. Interestingly, internal use appeared to be more effective than topical use, in terms of both thickness and speed in which new hair grew. In summary, he shou wu’s hair growth powers are so potent, they could work both topically or internally. And they don’t only appear to increase hair growth, but also the actual thickness and health of the hair shaft itself. In the studies in the previous section, it’s clear that this legendary herb doesn’t just increase the growth of hair—it also encourages thickness, strength, and length of the hair itself. Once again, this may be due to he shou wu’s protective antioxidant content. By protecting hair follicles from free radical damage, this research demonstrated that hair actually increased in size and circumference, not just number. Though in addition to all this, close analysis of the herb shows that it’s also rich in minerals. This includes zinc, copper, iron, and manganese. Zinc and iron are both known to be important minerals for encouraging healthy hair growth and strength. As such, he shou wu also gives the added benefit of providing some of the very nutrition that ensures strong, healthy-looking locks in the first place. Wanting better hair growth and health can be a challenge for anyone, including people who are perfectly healthy otherwise. What’s even better is that he shou wu can provide better hair for people with conditions related to hair loss. This can range from simple mild health conditions like male or female pattern baldness (adrenergic alopecia), hair loss with age, or even nutrient deficiencies, all the way to more major hair loss disorders such as alopecia, an autoimmune disorder. In fact, 2013’s study on he shou wu for hair growth pointed out its possible usefulness for alopecia. On the other hand, the herb’s study in 2011 was for the purpose of finding treatments for baldness and hair loss. For this reason, the miraculous Chinese herb isn’t just reserved for those who want better hair growth— it could also be a great remedy for those who need it. Studies suggest that he shou wu could take things even a step further beyond better hair growth and health. For people with graying hair, using he shou wu may actually help restore one’s younger hair color, no matter the color. A 2015 study showed that the herb had outstanding effects in restoring hair color in test subjects with graying hair, though this was limited to people with black hair. Further, the rawest extracts of he shou wu appeared to be the most effective at restoring color. In China, the herb has long been used for helping people regain their more youthful mane color. But again, this shows that the herb may only be effective for individuals with darker hair color and could thus be less effective for blondes. For this reason, take caution if using he shou wu to restore youthful hair color in lighter-colored hair types. ALONG WITH HE SHOU WU, WHAT ELSE HELPS WITH HAIR GROWTH? 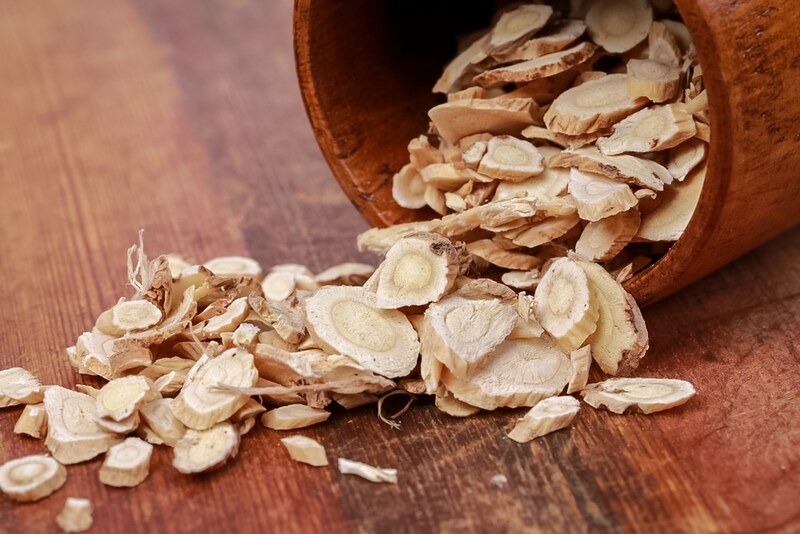 Though more studies will ultimately be needed before officially dubbing he shou wu a hair growth promoter, the outlook on this amazing herb is quite positive and hopeful. Still, it may be quite some time before we see he shou wu products made for the sole purpose of hair growth on store shelves. For the curious person who wants thicker, longer, and healthier locks, he shou wu is ripe for exploration. But even beyond this herb alone, there is far more that the average person—or person with a hair loss condition—can do to encourage more hair growth in their personal lives. Enchanted by he shou wu? 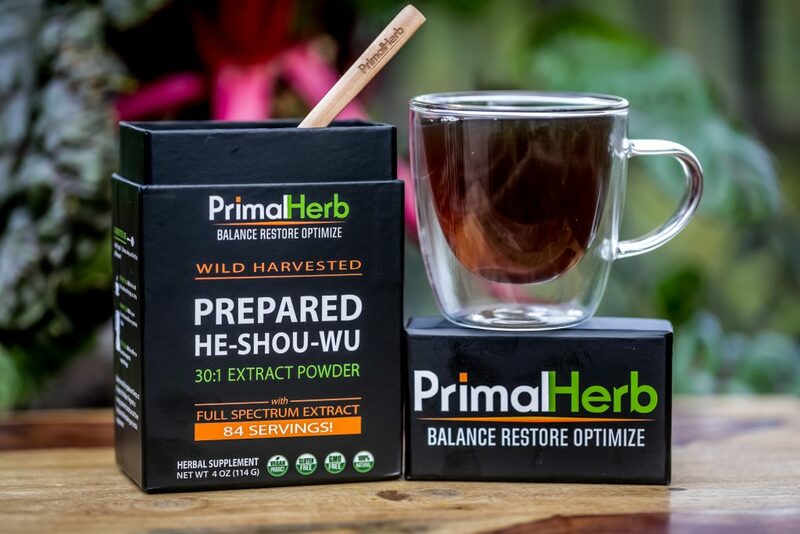 Pure, high quality, and wild-harvested he shou wu can be found in one of our very best formulas: Prepared He Shou Wu.